All Elkton homes currently listed for sale in Elkton as of 04/20/2019 are shown below. You can change the search criteria at any time by pressing the 'Change Search' button below. If you have any questions or you would like more information about any Elkton homes for sale or other Elkton real estate, please contact us and one of our knowledgeable Elkton REALTORS® would be pleased to assist you. "This picturesque ranch has the best of what Douglas County has to offer! Umpqua river frontage; three beautiful homes; fenced pastures; underground irrigation with K-Lines; giant heated shop with office, bath and storage; merchantable timber and healthy young reprod including redwood trees; orchards; garden & barn. Two of the homes are newer, third rental could be replaced with a custom river view home. Such a unique and amazing ranch!" 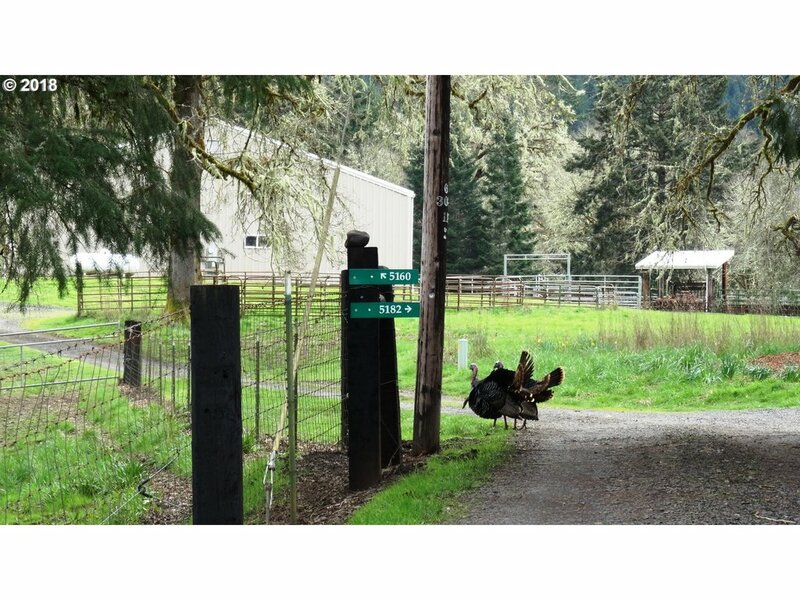 "Amazing investment opportunity in a beautiful rural setting just minutes from the Umpqua River! Very near Scottsburg & just 30 min to the Oregon coast. Main home features 5 bedrms including master retreat w/private bath. Living & family rms each have cozy fireplace. 55+ MF home park has 9 mobile home spaces (7 rented) & 5 RV spaces. An acre in front of main home provides more spaces if needed. Main House can be used for nightly rental." "Magnificent remodel! Updated kitchen with tile counter tops, SS appliances, vinyl plank flooring, and even a pantry. The master features a large soaking tub and views of the Umpqua River. The lower level could easily be converted to a MIL unit with its own garage. Expansive decking will make your summer BBQs a treat or a wonderful place to unwind as you watch the river. Bonus room could be storage, a wine cellar, or home theater"
"Country living is what it's all about! From the garden, orchard, and chickens to the beauty of living in Scottsburg. This 3 bed, 2 bath Super Good Sense home is perfect. Double car garage with extra bays, Covered RV parking plus a covered mother-in-law RV w/ full hook-up. Nothing better than sitting on the deck and enjoying the afternoon after a day in the garden or the riding the lawn mower, which is included. Call for appointment." "Country living in town. Must see. Charming 3 bedroom/2 bath mfg home on .38 of a park like acre. Laminate and tile flooring. Master suite separate from other bedrooms. Newer roof, electrical and HVAC. Separate storage building and utility sheds. Spectacular grounds with walking paths, lush landscaping, fruit trees and more. A truly special property. ASSUMABLE FINANCING!"